Not so long ago, the only option for patients who wanted to permanently reduce fat and contour their body was to go through procedures such as surgical liposuction, an expensive option that is laden with potential health risks. Thankfully today, there are safer, more effective methods to remove excess body fat and help contour the body non-surgically. At Midtown, we offer effective non-surgical body contouring treatments: Slimspec™ and TriPollar™. What is Slimspec™ Body Contouring? Slimspec™ is a non-surgical body contouring system that uses Acoustic Radial Wave Therapy (ARWT) to target cellulite and firm the body. It is a completely comfortable treatment (no pain) and is designed to effectively work on cellulite in areas such as the abdomen, hips, thighs and buttocks. This non-invasive body contouring treatment only requires 20 minutes each session, and effective results can be seen within an initial 6-week program. How Does Slimspec™ Body Contouring Work? 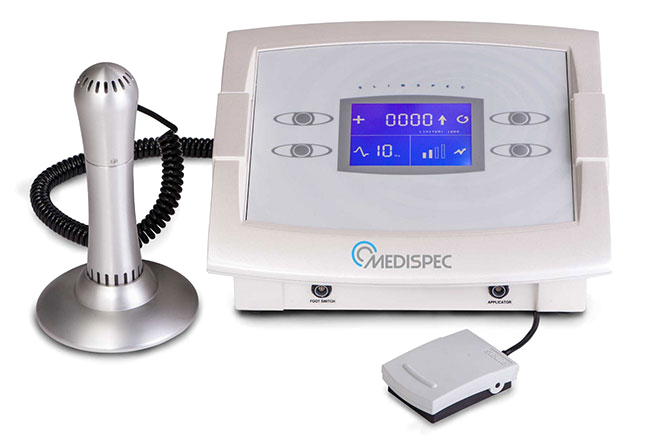 Slimspec™ uses acoustic radial waves to increase metabolic activity in your treated areas. 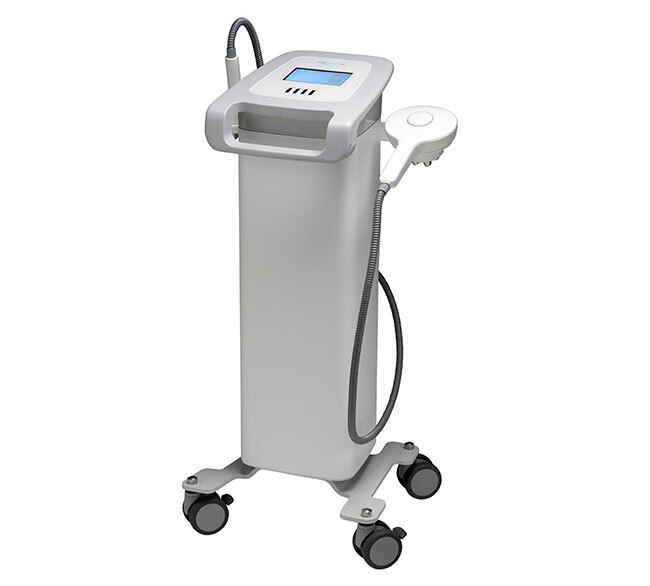 Acoustic radial waves are known to be incredibly effective at reducing edema (a tissue that is one of the initial stages of cellulite formation). By reducing edema, the tissue becomes more permeable and the fluids and toxins are released from the fat cells and drained by your lymphatic system. What is TriPollar™ Body Contouring? TriPollar™ is a radio frequency (RF) technology that combines mono and bi-polar radio frequency to dramatically contour the body and tighten the skin to reverse the signs of aging. The RF technology that powers TriPollar™ sends RF waves deep into the skin to heat collagen and provide dramatic contracting and lifting effects. How Does TriPollar™ Body Contouring Work? TriPollar™ uses three or more electrodes allowing it to focus greater RF energy and penetrate your treated areas. The RF waves penetrate deep into the tissue and stimulate collagen to contract (providing a smoother, more toned shaped) while promoting it to accelerate its natural rejuvenation process. Q: Is Slimspec™ Body Contouring safe? A: Yes, the treatment is safe. The amount of wave energy actually decreases proportionally to depth, so it does not induce harm to any internal organs. Q: Is Slimspec™ Body Contouring painful? A: Not at all, it is actually comfortable and relaxing. Q: How many Slimspec™ Body Contouring treatments will I require? A: Midtown Med Spa recommends a regimen of two times per week for six weeks, followed by one maintenance treatment every three months to maintain results. Q: Does TriPollar™ Body Contouring hurt? A: No, it is a non-invasive body contouring treatment that feels like a warm massage. Q: When will I see results from my TriPollar™ Body Contouring treatment? A: In many cases, results are visible after the first six treatments and can last for months if maintained once per month. Q: What side effects can I expect from TriPollar™? A: It is common to see redness and feel warmth in the treated area after treatment. This will last for one hour after treatment.